I do agree they look great in factory white (NH-82) but im not much of a fan of aftermarket colours that aren't era or Honda specific. Would be funny yes but for how long? lol paint jobs are expensive best to make sure you like the colour cause its going to potentially be on there a long time. I think cities in all white looks the business. Clean white interior looks mean all stripped out. Any progress pictures of the cage? As for the EL motor it is externally identical to the city block if you get the right version. The only thing they changed is the flywheel bolts, I think they went to bigger ones at some stage. The rods and pistons might be a bit sus with an EL tho, would probably be better to go for a d16, much easier to get parts and could just run a chipped honda ECU. Also that bent fin might have been resposible for that strange behaviour of your car when we were testing that extra boost chip. When turbos are out of balance they can sometimes hit the housings when you are boosting and it stops your boost straight away, feels like boost cut. I'll go check on the cage this afternoon and get some pictures, probably post them tomorrow. Obviously since I'm putting in a cage and harness, new engine? etc I'm not too fussed about keeping stock appearance, and I thought white might be a bit boring. The car has had its 'carnival yellow' paint job for the last 5 years and I've been quite happy with that. The whole thing has always been a bit of a joke really, I've never treated it as a serious car. Could go for Honda racing yellow? What about painting and decal-ing it to be like a sponsors car or something? Do you mean pretending to have sponsorship? Or actually getting some? If I got sponsors I might actually have to do something serious with the car. 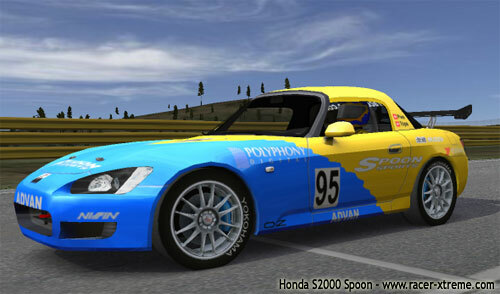 Yeah either you could paint it like spoon or Mugen colour scheme, or actually get sponsorship and do it their colours. Dunno who you would try tho. Hopefully it'll be finished next week and then I can get on with paint prep. Sweet as man looking good. Interesting he covered the seat belt holts with the feet, I guess you'll have to make new ones. Is that horizontal bar behind the seats for harnesses? Make sure hes welding a bar between the rear strut towers too, that helps a lot. Also are you getting a bar put in behind the dash? One inside that cavity that is used for air distribution would be awesome, and pretty close to the front strut towers. No seatbelts, have to go harness. I did think about getting a bar put across at the front but thought it'd make getting some sort of dash in even harder, figured that without the black box in the engine bay there will be room to put a bar across between the front towers. Was planning on getting one between the rear towers though, it's just not there yet. 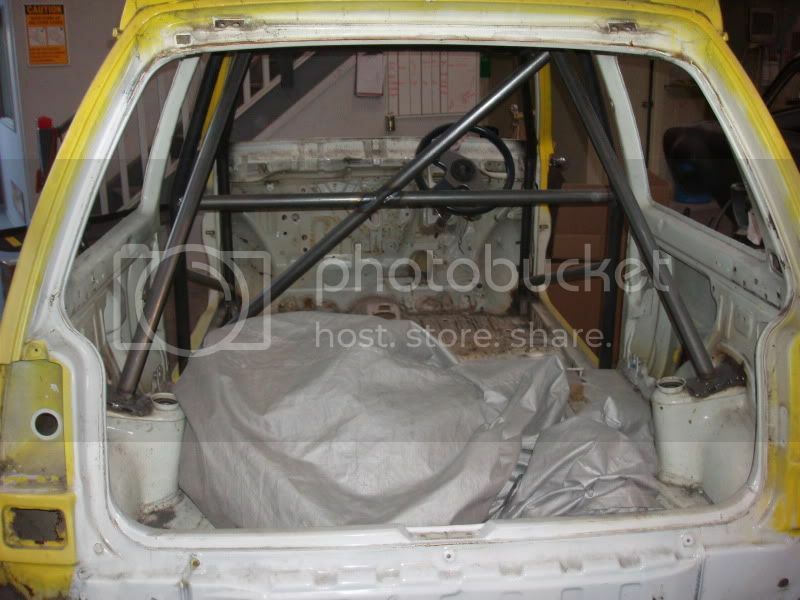 Quite a lot of cage builders also like to run a bar to the shock towers(cant tell in the pics if there are) and then one across under the dash as well like james said may as well try to get the maximum rigidity out of it. Surely if you get it placed carefully there will be enough space for a duct to blow on the windscreen. wouldnt think the heater box will fit but at least a duct from the stock vent so when your moving there is some cold air going at the screen. Yeah I did think about that. There are smaller sized blowers you can get for classic cars and stuff that I could just squeeze in somewhere and duct up to the windscreen. Without the stock blower/heater/AC crap there will be plenty of room for other things. If you put it inside that bit of car then the heater box would fit. 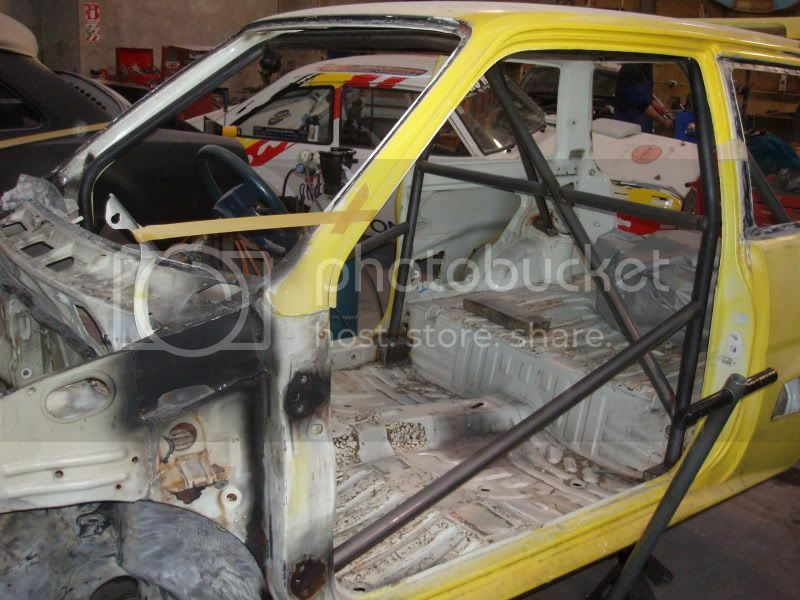 Would need to holesaw some holes in the side of the car to get the bar in tho. I dunno what the regs are like for being on the street only with harnesses :/ Generally you have to leave standard belts in I thought. Edit: Its sweet with a MANZ Card, just means your car is a dedicated race car then. 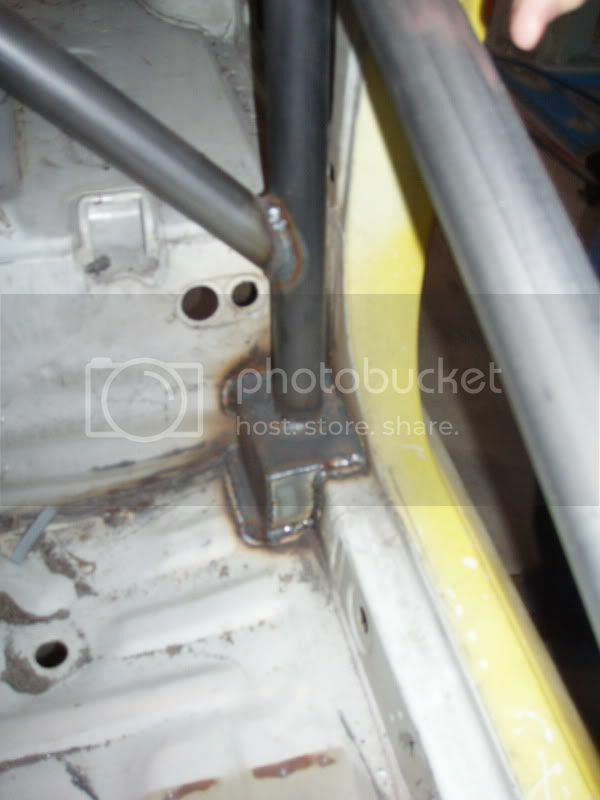 I have a Racepro bucket seat in my VR-4, but I'm wanting to fit a Sabelt harness seat belt as well. Is that legal or not? One mate told me it's sweet if you have the factory seat belts still installed, and another mate told me you can't have them unless you use the car for racing. I use the car at the Night Drags, but I'm not sure if that counts? The simple answer is no, you can't have a full-harness belt in a road-going vehicle (yeah, yeah, I know it seems crazy too, but there are reasons why LTSA won't allow it, which I won't get into here). 1. The Low Volume Standards allow for full-harness belts, but only in single-row seat scratch-built cars like custom-built sports cars, kit cars, and hot rods. 2. The only way to have a full-harness belt in a production road car is with a Motorsport NZ Authority Card. This doesn't provide for import drag cars though. However, there is an alternative Authority Card system being developed for vehicles that compete in drag racing competition classes. It will solve the problem for many - it's just taking a while to get it to the top of the to-do pile. We'll give you that info when it's in place. All the best, Old Hoon. As far as my understanding goes you cannot wear a harness on the street. The card may allow you to have a harness in the vehicle, but if you are driving on the road you have to wear a seatbelt. Is this going to be street driven or is it race only? The intention was to use it mostly as a street car, though obviously there does need to be some motorsport involved to keep the MANZ card. As far as I was aware having the card makes it ok, the guy building the cage knows what I want it for, and he's heavily involved with the car club up here and talked to one of the low volume cert guys before we started. I'll double check though. Colza wrote: As far as my understanding goes you cannot wear a harness on the street. The card may allow you to have a harness in the vehicle, but if you are driving on the road you have to wear a seatbelt. I believe that is the case if you don't have an Authority card col. But the WRC rally guys and stuff don't have normal seatbelts and they are allowed to drive on the road in their harnesses, with the appropriate authority card. Yeah Mike as far as I understand it the authority card is basically dispensation for a race car that is required to drive on the road to and from the racing events and between stages, like rally cars. I have heard of people getting in trouble daily driving them to work and things. There seems to be a bit of a grey area around this it would be best to talk to the cage builder and the low volume cert peeps.